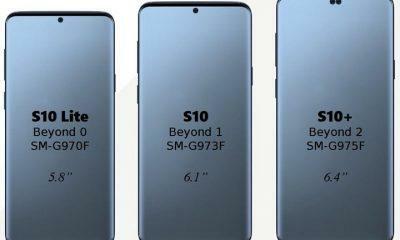 Samsung’s next big thing this time around is not a single smartphone but rather two of them. With the 10th anniversary of both the Galaxy S series as well as the Galaxy Note series coming next year, Samsung will celebrate it with the launch of the Galaxy S10 and the Galaxy Note 10. Meanwhile, Samsung is also working hard on the Galaxy X foldable smartphone, which is said to show up by the end of 2019 and as a first gen foldable smartphone and will be quite expensive initially. Coming back towards the Galaxy Note’s 10 anniversary, Samsung can’t miss this mark and will definitely do something extraordinary, which might again define some ground-breaking feature. The Galaxy Note line up invented the Phablet segment with huge displays and keeping the stylus alive in this modern era of notch displays. 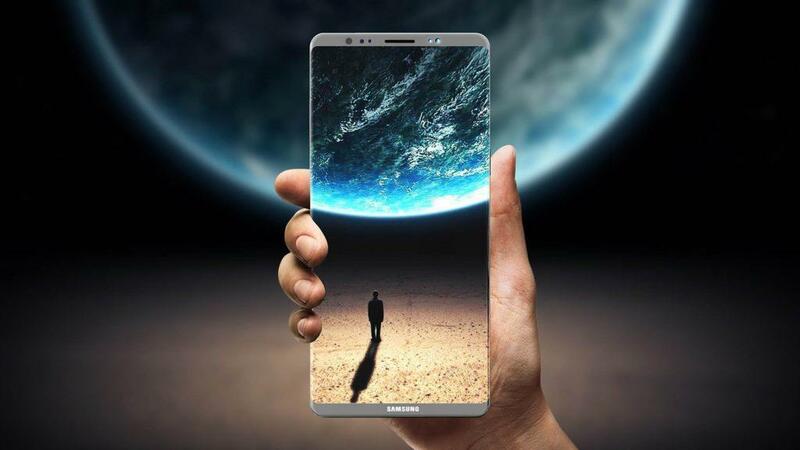 With the launch of the Galaxy Note 10, it’s a pretty big deal as well as the last opportunity for the Korean tech giant to truly invent something and again embrace the glory of the Galaxy Note series. Which since the last Galaxy Note 7 fiasco has been just an incremental update of the Galaxy S series phones and this year was also the same story. Just a spec bump with almost the same cameras taken from the Galaxy S9/S9+, However, the S pen stylus did receive a significant upgrade. Galaxy Note 10 Specs: A12 Bionic Killer? Galaxy Note 10 Camera: A Penta Camera setup? With the Galaxy Note 10, we should expect something reasonably new, and trendsetting, a Full bezel-less display, without any curved edges, could be possible. By the end of 2019 we will have almost 90% plus screen to body ratios and the Galaxy Note 10 could pioneer this, without popping out dramatical mechanical camera’s which are cool at first glance but are stupendously fragile. Another thing related to the display on the Galaxy Note 10 is possible, which is a Motorola like resistant glass, which was earlier shown in a demo by Samsung itself, where a volunteer tries to hammer an AMOLED panel made by Samsung, and it doesn’t break a sweat. 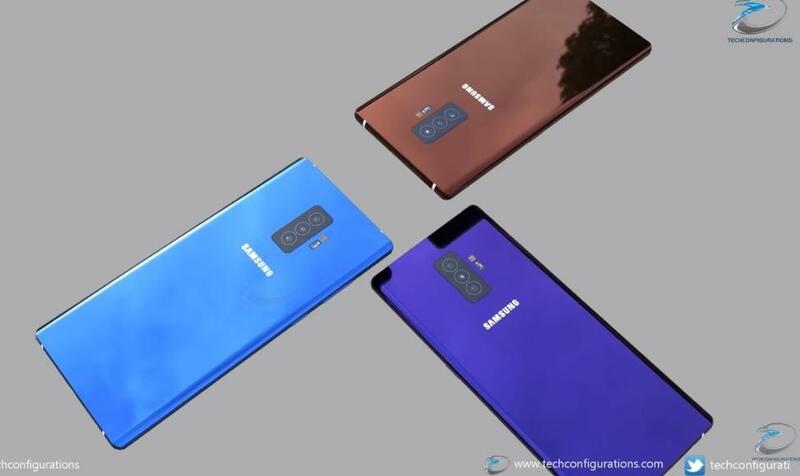 According to TechPP, Samsung could also borrow some technologies from the team working on its foldable smartphone by introducing the foldable display tech on the Galaxy Note 10 in hope to instantly popularize it, which will pave the way for the Galaxy X. However, this seems more like a false rumor. To support 5G a minimum of 4000mAh battery power is required at speed as fast as 1GBps to 5Gbps are possible with 5G which is battery intensive. Apart from that, the Specs on the Note 10 have to be beefy enough to take on the Kirin 1000 and Apple’s new A12 bionic chip which is a powerhouse and is crushing through benchmarks as well real-world performance. Samsung will also try to innovate within the Artificial Intelligence space, by including a special NPU(Neural processing unit) as a co-processor, which will be backed by a highly capable GPU unit. Regarding RAW power, the Qualcomm Snapdragon 855 is up for duty under the hood, which should go toe to toe with the A12 Bionic and Huawei’s latest lHi-Silicon offering. 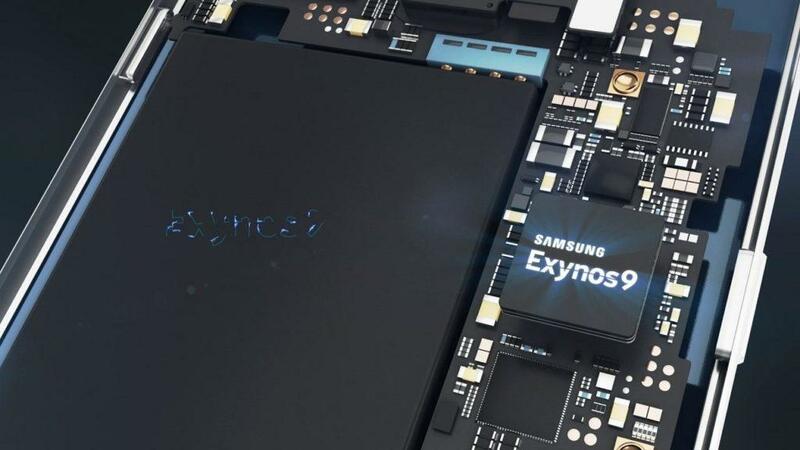 The Exynos 9820 or whatever they will call it will be manufactured on 7nm which will be power efficient like the A12 Bionic, but delivering the same level of performance. Currently, in many benchmarks and app launching tests are done online, the once sluggish Galaxy Note is easily able to keep up with the iPhone X, and regarding app launch times it trumps the iPhone X. 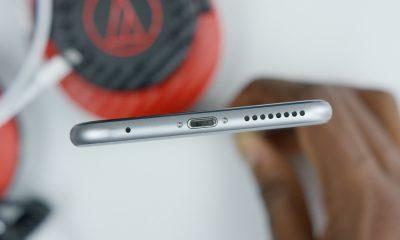 However, the iPhone punches back with its superior Game loading and smooth frame rate performance. Speaking about frame rates, the Galaxy Note 10 could also be the first one to debut with Samsung’s 120Hz AMOLED panels, as currently, AMOLEDs can only go till 75Hz. So, this could be a breakthrough, and the Galaxy Note 10 is the perfect contender to showcase it. Memory options will starts from 1284GB/6GB for the base variant, 8GB/256GB and the 8GB RAM with large 512GB memory option which will also support sd-card slot, which will make your storage go up till 1TB. Moreover, with the new concepts pouring in, and considering the early rumors all of them point out to the in-display fingerprint scanner, and Samsung will only do the under the display biometric if it’s improved enough to perform like traditional fingerprint scanners. Or else a faceID competitor could be in works under the name with advance Iris and facial scanning hybrid technology. Triple camera cluster on the rear seems possible, while the front will be rocking a Dual-Camera setup which will make the total count to five. We already have seen the dual front camera’s on the Galaxy A8 2018 and Galaxy Note 10 will follow its footsteps while also adding a third sensor on the rear, to offer various camera options like the Hybrid Zooming ability with a 24MP sensor and a telephoto lens, while the third lens will be a wide-angle. OIS will also be here, along with AI-powered stabilization. Portrait mode is the new norm now, and this time with new tweaks in software and image processing Samsung could try to simulate cinematic bokeh effects like the background instead of showing regular circular Bokeh could should those blurred out lights not only in circular shapes but also as hexagons, squares and more. Variable aperture will also be making its way on the Galaxy Note 10 pushing the aperture to f/1.4 or even further to f/1.2 which will take insane shots in low-light. 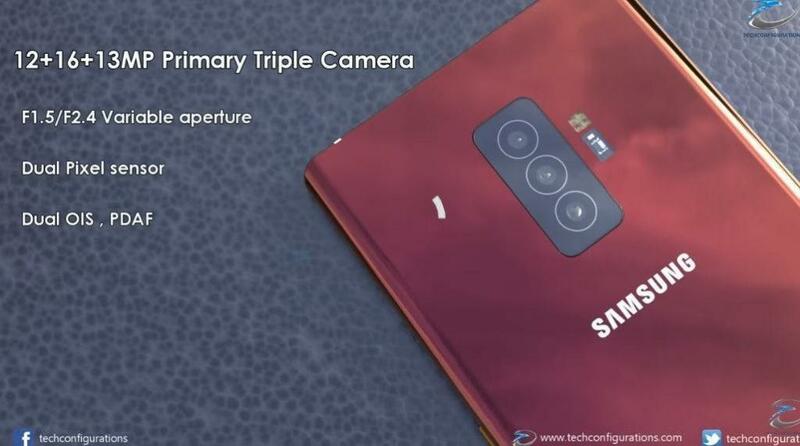 The Dual Selfie camera’s on the front will not only be used for front portrait modes but also for facial recognition to help for security features like Samsung pay and similar. Android Pie 9.0 out-of-the-box and will get two major upgrades to Android Q, and R. And with Google’s Project Treble updates will be much quicker this time, more like a 2-weeks quick due to touch-wiz. The whole user interface will have AI integration to do some tasks which you tend to perform on a frequent basis much more efficiently or without even your need to find and tap that next app, which you always open after say Instagram. Also, check- List of Samsung devices eligible to get the Android Pie 9.0 update. As far as pricing and availability are concerned the Galaxy Note 10 will be easily priced at about $1000 and will pass the $1200 milestone. The base variant is expected to set you back around $899 to $950, and for that price, it should be well worth it, because brands like Poco and OnePlus also exist which are now taken very seriously by new young smartphone buyers. Galaxy Note 10 will launch on August 9th to August 12th means in the vicinity of early August. And should start shipping by the end of August, it will be first available in South-Korea and will be arriving in the US and other western markets by the mid-September onwards. 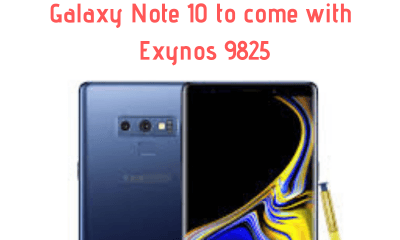 Overall as we transition from 2018 to 2019 more details about the Galaxy Note 10 will keep arriving, and we will update about the same.